Situated 1 km from the village of Alte with its whitewashed houses, this hotel features a garden with a pool, and air-conditioned rooms. There is an on-site tennis court and a panoramic rooftop terrace. Offering an outdoor swimming pool, Cerro da Janela is located in Alte, 35 km from Albufeira. This tranquil guest house has views over the surrounding natural and mountainous area. The unit features accommodation in twin and quadruple rooms. A wooden chalet surrounded by greenery in Monte de Charneca, Chambres d'hôtes Naturistes en Algarve offers a garden with outdoor pool, a sauna, and a hot tub. WiFi and parking are both free at the property. 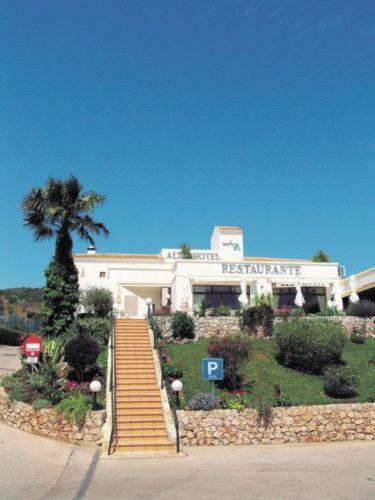 Set in Alte in the Algarve Region, 18 km from Albufeira, Alte em Férias boasts a sun terrace and views of the mountains. Rooms come with a flat-screen TV and DVD player. Certain rooms feature a seating area to relax in after a busy day.